While most disagreements occurring between parents and IEP teams in public schools can be resolved without entering a courtroom, attorneys are employed in lawsuits brought against schools. 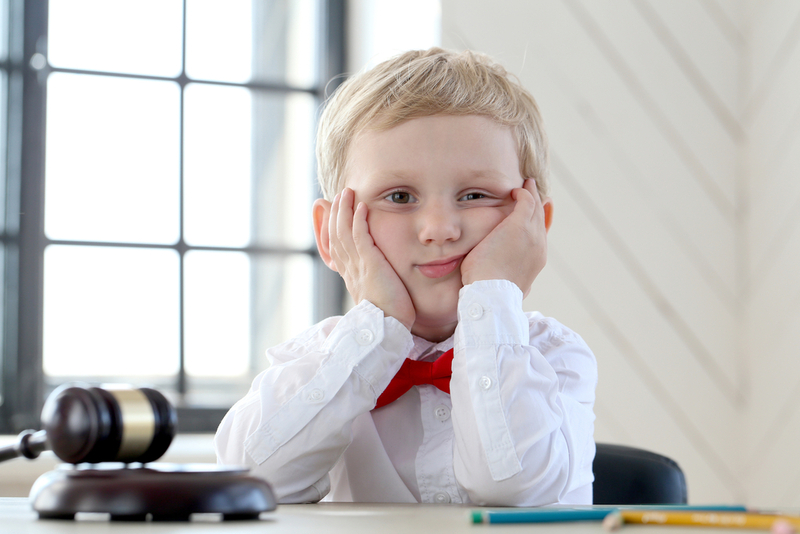 Advocates can refer parents to attorneys, and some advocates can serve some litigation duties. Attorneys may also be involved in lawsuits brought against insurance companies (i.e. Broughton v. CIGNA Healthplans, Inc.). It is important that parents have a basic understanding of their children’s rights to special education services in the public schools, and that families of individuals with disabilities understand their rights regarding health insurance coverage. Refer to the section on EDUCATIONAL SERVICES for another discussion of children’s rights to special education services. Parents will find it easier to “navigate” the route to special education services through an understanding of two key items of legislation: dealing with the rights of persons with disabilities: IDEA (Individuals with Disabilities Education Act) and the Rehabilitation Act—Section 504. These two laws are overlapping in nature, yet somewhat different. IDEA requires the “free and appropriate public education” of children with disabilities. “Appropriate” herein means that the child’s academic placement must occur in the least restrictive environment (LRE). In other words, the environment must facilitate learning, but not be overly segregated. For example, if a child with high-functioning autism can participate in a general education classroom with minimal assistance (i.e. one teacher’s aide), he/she should not be placed in an exclusively special education day class. IDEA also requires an IEP for each child (described in the section on EDUCATIONAL SERVICES) and the review of that IEP occurring at least annually. Lastly, IDEA mandates services for children from birth to age 22. Section 504 of the Rehabilitation Act has broader definitions of disabilities, and provides services beyond the age of 22. This law is more open to legal interpretation. However, while it mandates free services, it does not provide funding to the schools for these services. The schools are responsible for amassing these resources (e.g., through locker fees, library fines, etc.-which are paid by families of children with and without disabilities). More detailed information on children’s rights to special education services in public schools can be found by searching a state’s Department of Education website. Many disputes between parents and school staff can be resolved outside of a courtroom (i.e. with an advocate, within a “mediation” versus a “fair hearing”), but attorneys have served in lawsuits brought against schools. In the following paragraphs, patients’ rights to services from insurance companies (in California) will be discussed. The recently enacted (January, 2001) AB 88 (new state law in California), the legal definition of “medically necessary” under this law, and definitions of other legal terms are important items for families of persons with disabilities to understand. The information on California state law comes from Christopher E. Angelo, J.D. of the law firm Mazursky, Schwartz, and Angelo. Such information unique to other states may be found by contacting a local law firm that is knowledgeable regarding health insurance companies and the laws regulating them. Even if the reader of this vignette resides outside of California, knowledge of AB 88 will certainly be of benefit in alerting the reader to issues that may be encountered (and that may require resolution in court) in other states. AB 88 states that “severe mental illnesses” must be provided with treatment ‘in an amount equal to those benefits offered “to other medical conditions.”’ Thus, in addition to what insurance companies term more “physical” (biologically-based) disabilities (e.g. brain damage caused by stroke, brain tumors, etc. ), several psychological/psychiatric disorders as well as pervasive developmental disorders or autism must be covered for any “medically necessary” procedures/treatments. “Medically necessary” is defined as “…reasonable and necessary to protect life, to prevent any significant illness or significant disability or to alleviate severe pain.” Thus, if a parent/family member of a person with such a disability can provide proof from the medical community that the individual’s “severe mental illness” is in need of treatment to prevent death, increase in or worsening of the illness, or severe pain, the disabled individual has rights to appropriate treatment. This may be accomplished by examining the medical literature regarding treatment efficacy (effectiveness) of the individual’s disability. If all procedures/services needed (as recommended by the medical community) are not provided, the insured has the right to sue. Furthermore, ambiguously phrased descriptions of grant coverage to give underwriting power to deny claims “after the fact” are illegal. This regulation covers healthcare providers that are both “insurance companies” (i.e. the company name includes the words “insurance company”) and “corporations” (health coverage issued by a corporation or self-insured employer). These are separate, for-profit, legal entities, subject to regulation by different organizations (“California Insurance Code” or “California Corporations Code”). However, AB 88 was incorporated into the “Health and Safety Code” and into the “Insurance Code” to prevent healthcare plans from changing their status to “corporation” to avoid this state mandate. AB 88 also states that “abusive HMO practices can be stopped by court order even if the insured signed an arbitration clause.” An arbitration clause is an agreement stating that the insured will resolve disputes with the healthcare provider “internally”—or, within the company. An outside decision-making body, such as a court, is not involved. Mr. Angelo continues to state: “Medical necessity is a jury question.” For example, AB 88 did not come into existence without the establishment of its statements as legal precedents in lawsuits. Perhaps more disabilities (e.g., disorders that are strictly speech and language impairments) will be included in this law or provided for explicitly in other legislation with time. Whenever an individual with a disability or his/her family is concerned that the individual’s rights are not being considered, by a school or a healthcare provider, legal advice may be the beginning of the solution to the problem. Mr. Angelo can be contacted via the website for his firm.